The summer salad is often regarded as summer food's unpopular kid. Sure, potato, pasta and egg salads are the standard bearers of summer salads, yet they seem stuck in a time warp in terms of creativity. 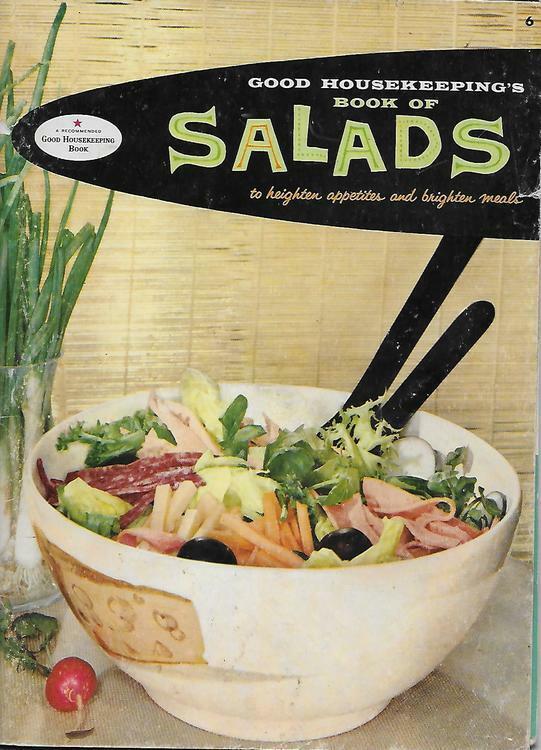 When I was growing up in the 1960's, the only "exotic" summer salad Mother served was a gelatin mold studded with shredded carrots and surrounded by heaps of Miracle Whip dotted with green olives. 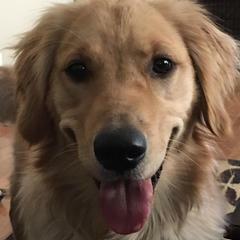 We dreaded seeing Mother parade that salad out of the kitchen and put it on the picnic table yet we grudgingly ate it lest we disappoint her. Yet we should not ignore the basic elements of the summer salads of yesteryear. One can easily use the concept of gelatin, fruits, vegetables and seafood into a contemporary and delicious salad that is perfect for the hot days of summer. Summer salads are well-adapted to a variety of cooking and preparation techniques, from poaching, grilling and roasting, to chilling, preserving and deep-frying. And a summer salad benefits from a bevy of garnishes, cheese, spices and fresh herbs from the garden. Let's join in the fun and present our summer salad bowls in eG Cook-Off #79: Resurrecting and Rethinking Summer Salads, Summer Food's Unpopular Kid. Hmmm - are you thinkig updated versions of those yuckers or just what salads (hyper broad term) we are enjoying? I live in a temperate climat so salad is a year round thing for the most part. One can easily use the concept of gelatin, fruits, vegetables and seafood into a contemporary and delicious salad that is perfect for the hot days of summer. Along the lines of @heidih's question, I have been enjoying a lot of summer salads but none with gelatin and it sounds like that is key to the theme you are proposing. Is that correct? It's all inclusive so yes, updating some of those clunkers from the past, but the salads we are enjoying this summer too. I really like how you take broccoli and cucumber to a new level with your dressing, especially using fish sauce. It can be gelatin or resurrecting one of those salads from back in the 50's to the 70's with your own twists on it for today's tastes. Or your take on how to rethink summer salads so we're not just doing the familiar standbys of potato, egg or pasta. I'll be doing my take on a tomato aspic salad that my Mother and Grandmother made every summer for years. But I'll be doing it by changing up the aspic and flavorings and using some different garnishes and adding seafood. I'm also going to do my take on a potato salad, but more than just the standard fare we're used to. I'm going to read that right now thank you. Jellied consommé has always been a favorite and I'm thinking I could work it into a salad somehow. I do a lot of salads during the summer. Since I work from a home office, I tend to take a few hours on Monday and cook for the week's lunches. I make a broccoli salad similar to d @heidih's, and I make a marinated veggie salad that includes, depending on what I feel like, cucumber, onion, cauliflower, carrots, celeriac, raw turnips and corn kernels (some or all of the above). Dressing is wine vinegar, sugar, some tarragon, salt and pepper, garlic powder, maybe some mustard seeds if I feel like it. Made a good pasta salad t'other day with peas, carrots, diced up Lebanon bologna, and grated co-jack cheese, with a good bottled ranch dressing. Fruit salads are a constant. A quick, easy one the other day was cubed cantaloupe and peaches, with a tub of peach Greek yogurt as a dressing. There's one I like with figs, peaches, canteloupe and kiwi with a honey mustard-based dressing. Or maybe it's just cubed watermelon and canteloupe with salt. Of course, capreses. I use homemade ricotta, a lot of times, in mine. Hmm so fruit salad- I do not like complicated ones with dressing but a good combo of very ripe stone fruits and melons takes me back and pleases me. During my food awakening summer in Corsica as a young teen the other 2 girls and I would be in charge of it. Dead ripe fruit, keeping all the juices in the bowl. First time I heard pineapple called annanas. We would keep the plum pits in our mouths like young Southern boys workin on "chew". 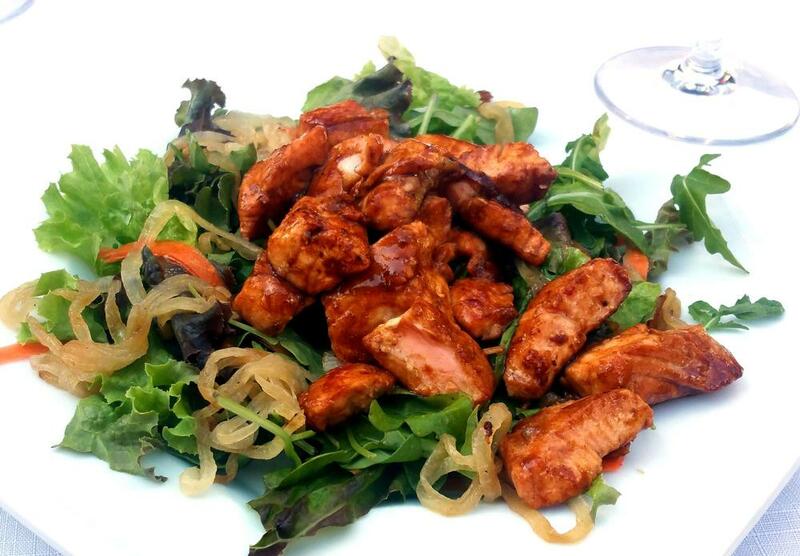 I've seen numerous salads over the years that were built on braised meats (usually beef). I would have to think something like that could be worked into a jellied consomme. Here's a nice article in the NY Times, about the wonders of (good) canned tuna, and how it is perfect for a summer salad. Me - I sometimes make salads using beans as a base. I think the only salad my mother made (if I remember correctly), contained iceberg lettuce. And maybe something else? Couldn't sleep due to heat so I mulled over the topic. Couple things came to mind. Enjoying this thread but nothing new to add at this point. I've posted all my salad makings elsewhere. We eat our big meal at noon in our home and evening is supper which in the winter is two nights soup or other light meal and the third night is always salad...just salad. Summer is two or three nights various salads and one night soup or other light meal. In the winter salads are fairly traditional in a bowl romaine, other diced /sliced vegetables and a olive oil/lemon dressing. Summertime salads are far more adventurous and there's often 5 or so set out to pick from. Why I don't make the summer salads in the winter I have no idea. I just don't. I'm always looking for new salad ideas. I've yet to find a pasta or rice salad that I like much. 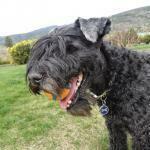 Our Annual Dog Weekend is coming up in August and I do try for one new salad each year. Yep, we do put out a lot of salads...mostly ones which are good for a few days. This year I have two additions: marinated thin cucumber salad and a cooked carrot/raw cauliflower salad which is terrific. Nothing new...but new to me. If anyone can give me a delicious (to me) rice or pasta salad, I would be indebted to them. Me again! I'm going to be able to prowl the farmers market tomorrow so my brain is buzzing with options. And then to update it a bit try the beet version or the one including avocado mashed in the dressing. My caution would be to avoid those tasteless horse carrots and softball sized beets. Look for ones that are actually young and "juicy". I am fond of including some Dijon mustard in all varieties. Also, if not overdressed, I find them enjoyable even a second or third day later. You've gotten me thinking about tuna and combining it with some white beans that I have from Rancho Gordo. We have one small shop in town that has a good selection of premium imported tuna so that will be just the ticket. Thanks. I make a salad of white beans, tuna, onion, garlic, parsley, olive oil and vinegar. The recipe is Fagioli e Tonno from The Romagnolis' Table (p 224). I omit the tomato, celery, and green pepper. The best salads I've made lately have been from Joshua McFadden's book Six Seasons. The three summery raw corn salads have all been stellar. He often uses raw vegetables that are more often cooked, as in the Beet Slaw with Pistachios and Raisins that I posted here (recipe is available online at this link) which is kind of a riff on the old classic carrot and raisin salad. 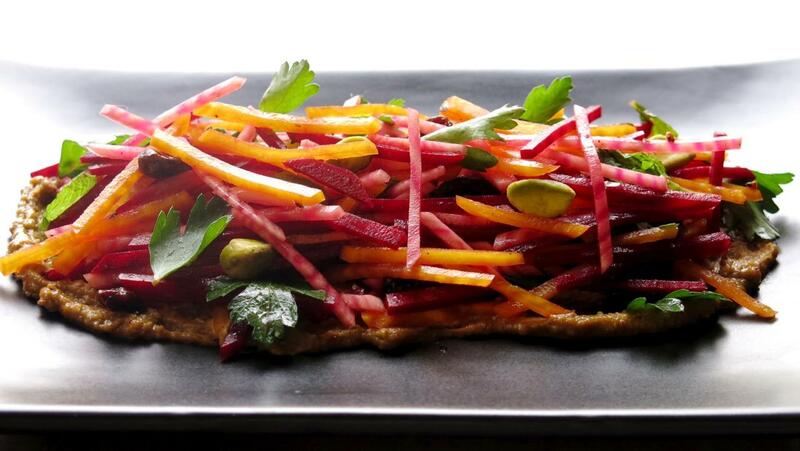 He regularly employs interesting combinations of raw, pickled and cooked vegetables. A recent example was the String Beans, Pickled Beans, Tomatoes, Cucumbers and Olives on Tonnato that I posted here. I don't think all the recipes necessarily hew to this cook-off's theme of updating old classic salads but I highly recommend Six Seasons if you're looking for ideas to update something you have in mind. 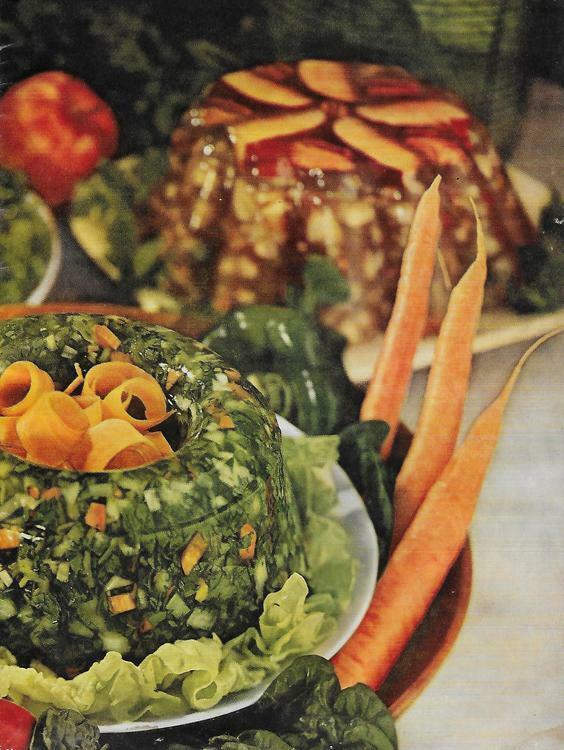 I have never seen an aspic salad in my life. Same with any type of jello salad. 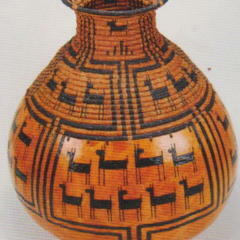 Neither of my grandmothers made things like that and a result, my mother never did. The only “staple” salad in my home growing up was a caprese. I’m not a big fan over heavy, mayo based salads. I will occasionally mix cherry tomatoes, cucumbers and a bit of onion with some sesame oil, rice wine vinegar, a bit of sugar and a bit of fish sauce. Most of my “salads” just like cold noodle dishes are made by taste and I veer off the measurements. Since John had his dental work … and traveling … I have had to change up his usual sandwich - chicken - by making chicken salad. I whiz up chopped chicken breast and shallots in my mini food processor. Into a bowl with some celery salt, a bit of mayo and a bit of cooked dressing. I have also been adding a few shakes of a product I had a coupon for: Marzetti's lemon vinaigrette. Since it is summer I've always got a bowl of Italian potato salad in the fridge. My friend, Joyce's mom showed me how to make it probably 40 years ago. Potatoes that are steamed until soft, green beans that are steamed as well, chopped olives and scallions in a vinaigrette that has oregano and basil in it. 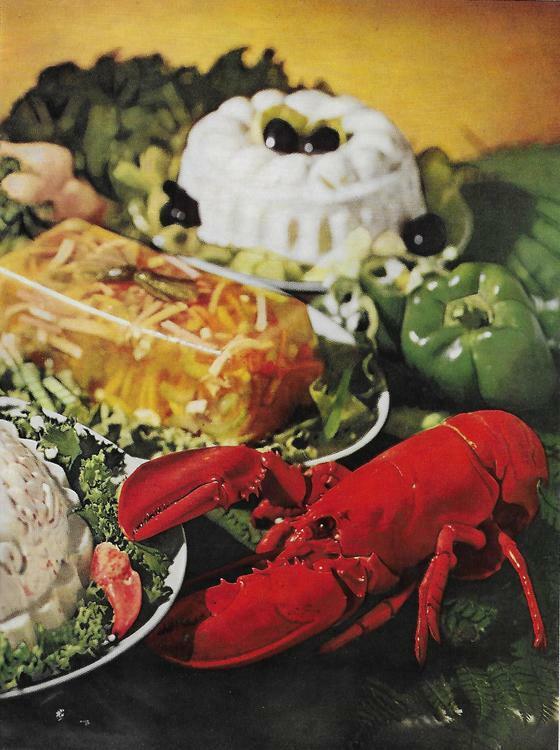 And who can forget that staple of funerals in the 1960's and 70's where I grew up - lime jello salad with cottage cheese and pineapple. @MetsFan5, I can always make this and give you a small dish to try. Meet ya at Wegman's😉. I've been looking through some of my summer salad photos for some ideas on putting together a new recipe for our Cook-Off and I came across one of my favorites that I came up with last year, green beans with egg salad. My Mother was always a stickler for bringing any mayonnaise based summer salad along on a picnic, but if it came right out of the kitchen onto the table on the deck, well then that was ok as long as the salad didn't sit in the sun too long. I blanch the beans for just a few minutes in salt water with a spoon of "Fruit-Fresh." It's mainly used in canning and preserving but I use it for blanching green vegetables to help retain a bright color. Then I chill the beans until ready to serve. For my version of egg salad I make my own mayonnaise using Greek olive oil, mustard, fresh oregano and a good amount of lemon juice. I like the strong flavor of Greek or Spanish olive oils. Then some finely diced celery, chives and dill relish, fresh dill and celery seeds. One thing that's not in the photo is a garnish of fried onions. Yep, the ones out of the can for some crunch and flavor. The salad is great for one serving or for a larger group, but take my Mother's advice and keep the egg salad chilled! I blanch the beans for just a few minutes in salt water with a spoon of "Fruit-Fresh." It's mainly used in canning and preserving but I use it for blanching green vegetables to help retain a bright color.﻿ Then I chill the beans until ready to serve. For my version of egg salad I make my own mayonnaise using Greek olive oil, mustard, fresh oregano and a good amount of lemon juice. I like the strong flavor of Greek or Spanish olive oils. Then some finely diced celery, chives and dill relish, fresh dill and celery seeds. One thing that's not in the photo is a garnish of fried onions. Yep, the ones out of the can for some crunch and flavor. The salad is great for one serving or for a larger group, but take my Mother's advice and keep the egg salad chilled! Really, Fruit Fresh! Brilliant and I have some AND I am blanching some green beans to go with lunch. Merci! 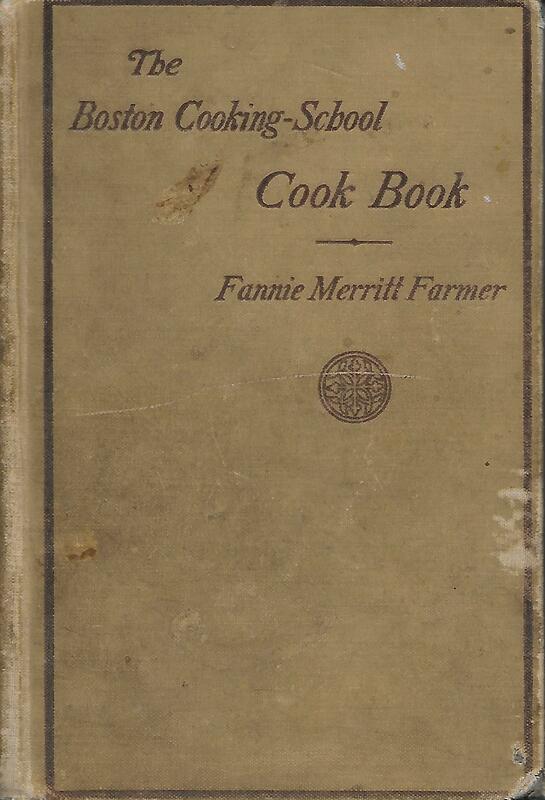 I went back to refer to my 1913 edition of the Boston Cooking -School Cook Book by Fannie Merritt Farmer and was surprised that many of the salad recipes were similar to what we would prepare and eat this summer. There are 11 seafood salad recipes, including a sardine salad, 3 different lobster salads and an interesting oyster and grapefruit salad that I think could be quite refreshing on a hot day. It's very similar to a tomato aspic I make that has the flavors of a bloody mary cocktail. "parboil one and one-half pints oysters, drain, cool and remove tough muscles. Cut three grape fruits in halves, crosswise, remove pulp and drain. Mix oysters with pulp, and season with six tablespoons tomato catsup, four tablespoons grape fruit juice, one tablespoon Worcestershire Sauce, eight drops Tabasco sauce and one-half teaspoon salt. Refill grape fruits skins with mixture and garnish with curled celery." More along the lines of interesting twists to classics, I found this Eater article about New Orleans' Essential Summer Salads inspriring. #8 Atchafalaya's Beets in a Cloud is reminiscent of the concept of creamy gelled oldies. #10 Maypop's Bibb Lettuce Salad caught my attention with coconut cucumber Ranch dressing garnished with cashew crisps. Southern California is awash in super busy salads so I found several of those featured to be more, thoughtful , light, and appealing. I overdid at Farmers Market so I'll have to play with my zukes, eggplant, corn and fabulous tomatoes first. Those sound really intriguing. 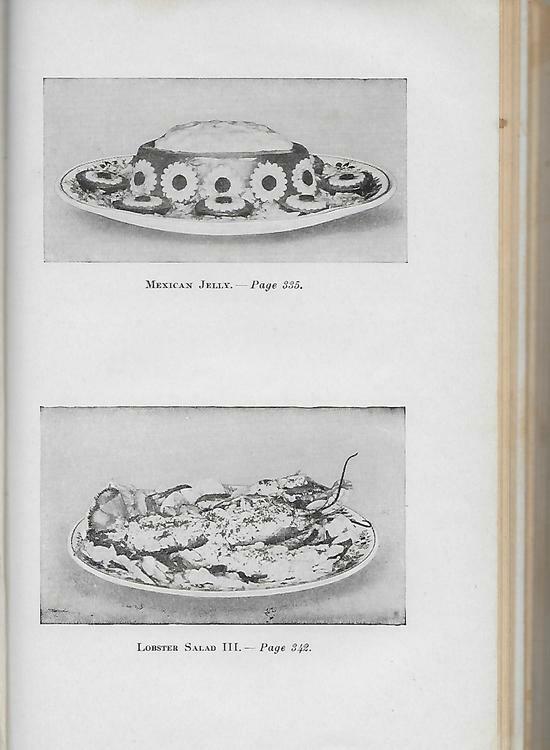 I do a bloody mary aspic served alongside grilled chicken that is chilled. But I'm thinking of changing it up somehow to do a terrine of grilled summer vegetables and use the aspic to bind it together in a mold of some sort. I think I'll have to do a lot of experimenting.